Published by Paul John Single Malt Whisky, India on Oct 19, 2017. Kanya, the latest expression of the Paul John Single Malts, has been awarded the prestigious Asian Whisky of the Year in the 2018 edition of Jim Murray’s Whisky Bible with a score of 96 out of 100. This unpeated and limited edition expression of the Paul John Single Malts will be released in January 2018. Jim Murray earned his global whisky guru status through sheer dedication by personally tasting, analyzing and rating a 1000 whiskies per year and his Whisky Bible is a renowned and leading whisky guide for most whisky connoisseurs across the world. the slightest hint of salt, making it ever more memorable. 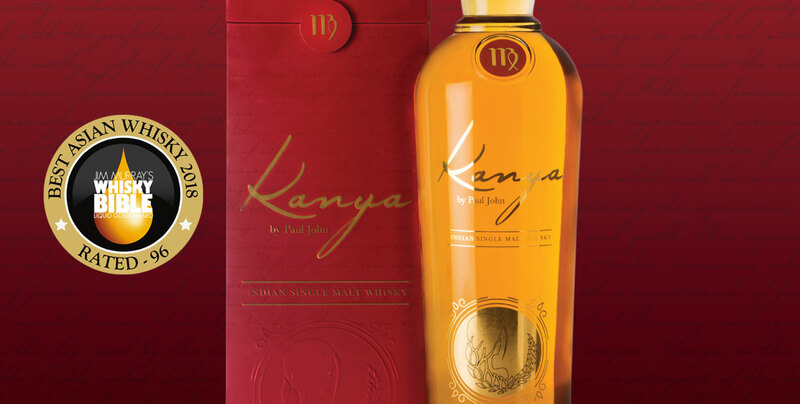 With rare complexities and an exquisitely balanced dryness, the Kanya is perhaps one of the softest Indian whiskies ever to be bottled.